Tomorrow begins the last full month of the 2017 NFL regular season. Thirty of the NFL’s 32 teams will each play five games in December this year (the Cowboys and Redskins played Thursday night kicking off Week #13 and will each play four December games this season). Looking back over the past seven seasons, it’s not surprising to see that the New England Patriots have been the NFL’s best December team since 2010. They have a 25-5 record in the last seven seasons in December, a .833 winning percentage. The woeful Cleveland Browns have the worst December winning percentage at .172 (a 5-24 win-loss record). 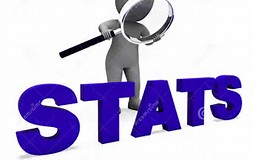 Following are the December winning percentages for each of the 32 NFL teams from 2010-16. If we shorten the years to the past three seasons (2014-16) a different team holds the top spot. The Steelers have been the NFL’s best December team the past three seasons with an 11-1 record (.917 winning percentage). They are followed by Green Bay at .833, and Carolina, Kansas City, New England and Seattle, each at .750. The worst December teams over the past three seasons? The Chargers and Bears, each at 2-10 (.167). 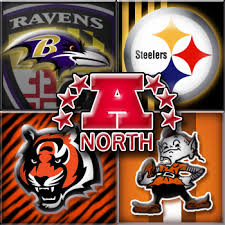 Could the AFC North make NFL history in 2014? Since 2002 when the NFL went to the current four-team, four-division format in each conference, there have been six times when all of the four teams in the division finished the year at .500 or above. The last time was in 2008 when each of the four teams in both the NFC East and NFC South finished the year at .500 or above. Here’s a look at the six times since 2002 when all the teams in the division finished the season at .500 or above. Interesting to note that when four teams from a division finished a season at .500 or better that it happened twice in the same year. If the AFC North finishes with all four at .500 or above, is there another division that could also have the same finish? Looking at the standings we see that both the NFC Central and NFC West have their fourth place teams with records of 3-5. Prior to 2002, there were three times when all the teams in a division finished at .500 or better. Two of those times it happened with five teams in the division. Here are those three times. Only twice in NFL history has a team that made the Super Bowl from a division that had all of its teams at .500 or above: Oakland in 2002 and the New York Giants in 2007. The Raiders lost in the championship game; the Giants won the Super Bowl that year. Unfortunately for the Lions, the 27 points they scored in the second quarter were the only points they scored in the game. The Steelers shutout the Lions 17-0 in the second half and went on to defeat the Lions 37-27. By scoring 27 or more points in a quarter and losing the game, the Lions became only the ninth team in NFL history to “accomplish” this rare feat. In fact, teams that scored 27-plus points in a quarter are now 170-8 (a winning percentage of 95.5) in those games. The last team to lose a game after scoring 27-plus points in a quarter were the Houston Texans on October 21, 2007. They scored 29 in the fourth quarter of a game against the Tennessee Titans although they eventually lost the contest 38-36. The last team to lose a game after scoring 27-plus points in the second quarter (prior to the Lions) was Baltimore on December 21, 1980; they scored 28 points in the second quarter of a 38-28 loss to the Kansas City Chiefs. Here’s a look at the record of teams that scored 27-plus points in a quarter.